Cathy For You-Give Your Ideas The Green Light. Easter is fast approaching and most of the people who celebrate resurrection day are probably searching for Easter dinner ideas. If you are also hosting an Easter dinner for the family, you have come to the right page. My family just like most of the Christians in the Philippines celebrates Easter day with fun fare and lavish feast. However, this year for the first time I will be hosting the traditional Easter dinner at home. And because this is the first time for me, I decided to make the dinner extra special by serving one or two Easter food from around the world. In other words, foods often served in other countries that also commemorate Christ resurrection from the dead. 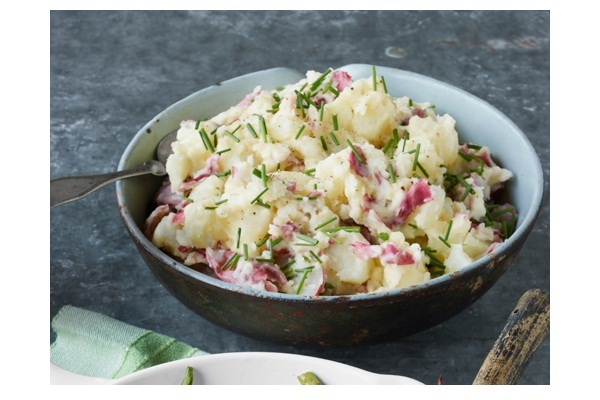 In many countries, ham is a traditional Easter food so it is no longer surprising that it is the first thing that comes to mind when one think of Easter dinner. However, if this year you do not want to serve pork, a lamb and chicken are good substitutes. 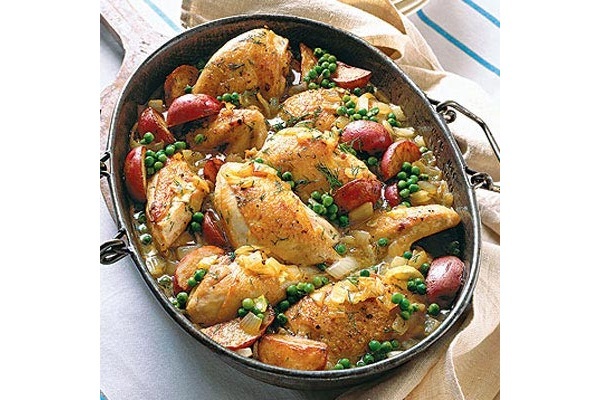 Anyway, may Easter dinner menu ideas should help you decide on your menu plan or put the finishing touches to your food ideas for Easter dinner. Below are my Easter dinner menu ideas from appetizers to Easter dessert sources from the internet and compiled for personal use and to share to my readers across the world. 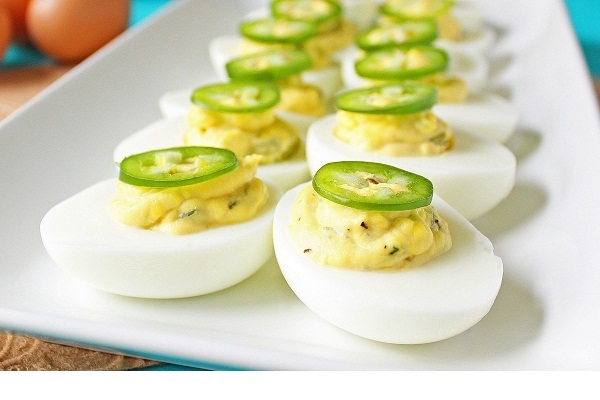 Deviled eggs are easy to prepare and great for Easter dinner. It is very popular starter for Easter dinner or lunch. Boil the eggs, removed from hot water and set aside to cool. Peel the eggs once cooled. Cut the eggs in half, and carefully scoop out the yolk. In a large bowl, place the yolk and combine with the mayonnaise, sriracha, pepper and salt as desired. Scoop a small amount of egg yolk mixture into the hollowed eggs (white). Garnish with basil leaves and cool in the refrigerator for at least 30 minutes. Serve and enjoy. A dinner menu is incomplete without bread and since I’ll be serving food from around the world, I decided on hot cross buns. 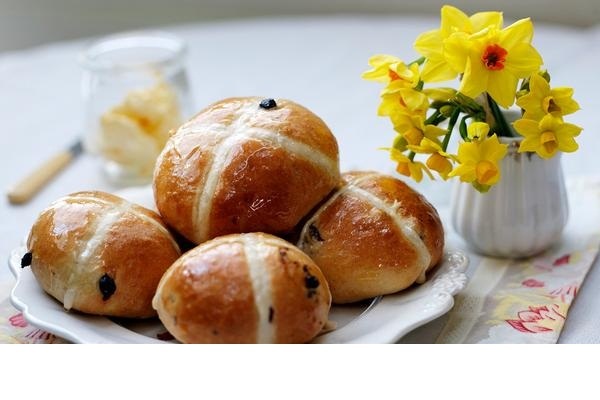 This bread is a traditional Easter food in UK, eaten on Good Friday. For the main course I am giving you an option from pork to lamb in case you do not want to serve ham again this year. 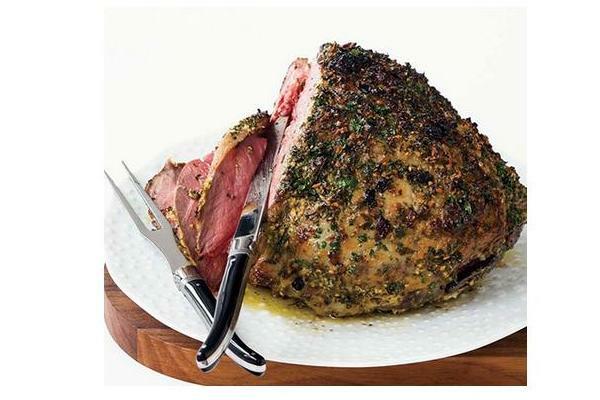 Lamb is another Easter symbol, and great alternative to traditional Easter ham. Preheat oven first to 400° F. Make a cut or thin slits in the lamb roast to insert slices of garlic. Combine the oil, soy sauce, vinegar, thyme and pepper in a small bowl. Rub the prepared oil mixture into the lamb roast until coated. Next, coat the roast with marjoram and rosemary. Place the lamb of roast into the roasting rack with shallow pan. Place the roast in the oven and turn down the heat to 325° F. Bake for about 30 minutes. Remove the roast from the oven, cover and let it rest for 5-10 minutes before serving. Serve warm. Side dish serve as refresher so it should compliment the main course. This recipe takes only 25 minutes to prepare. 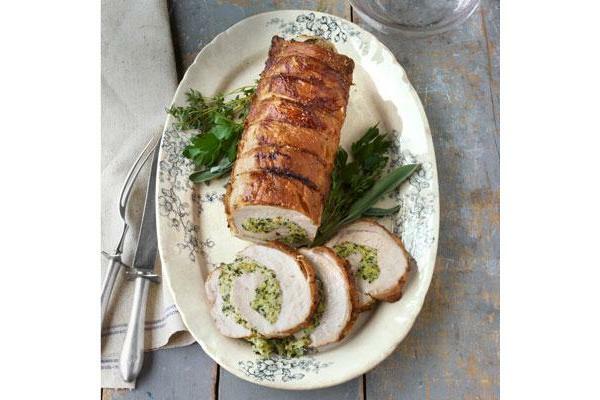 It compliments any main course whether your serving pork or lamb this Easter. Desserts are sweet ending to a wonderful Easter dinner. 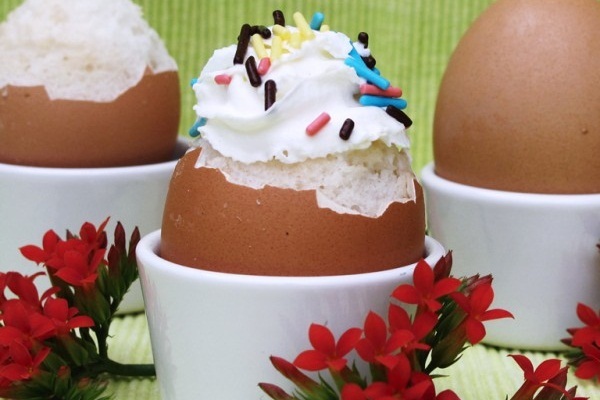 For dessert I decided to bake a cake on an egg shell… This dessert is going to be a hit this Easter, no doubt about it. Hi, I am Cathy, a travel junkie, foodie, photog crazy and frustrated writer. I but I don’t consider myself a writer… I blog because I wanted to immortalize my life experiences, share information and just write about all sorts of topics. I enjoy food, travelling, taking photos, reading, and blogging and meeting new people… I write all posts, unless otherwise stated. Feel free to leave me a comment or follow me on Twitter and i'll follow you back or connect with me viaGoogle+ as I love to hear from my readers.